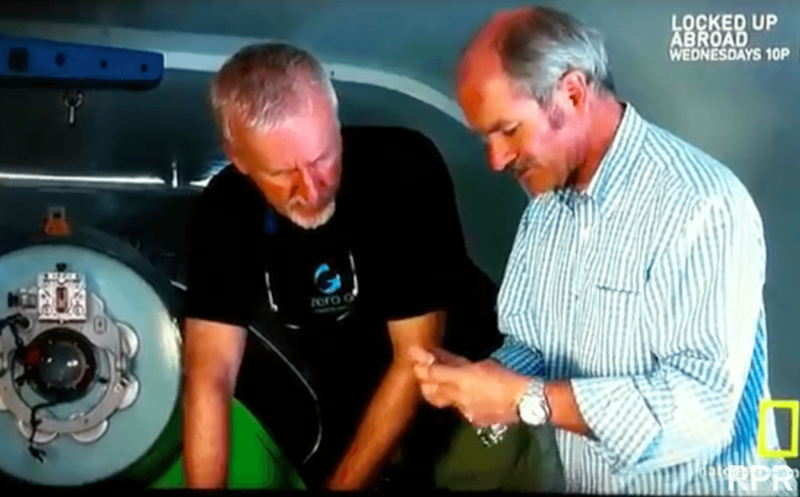 Lt. Don Walsh on the left holding the ( all steel, not steel gold ) Rolex DeepSea Special from 1960 & James Cameron is holding the 51mm DeepSea Challenger. 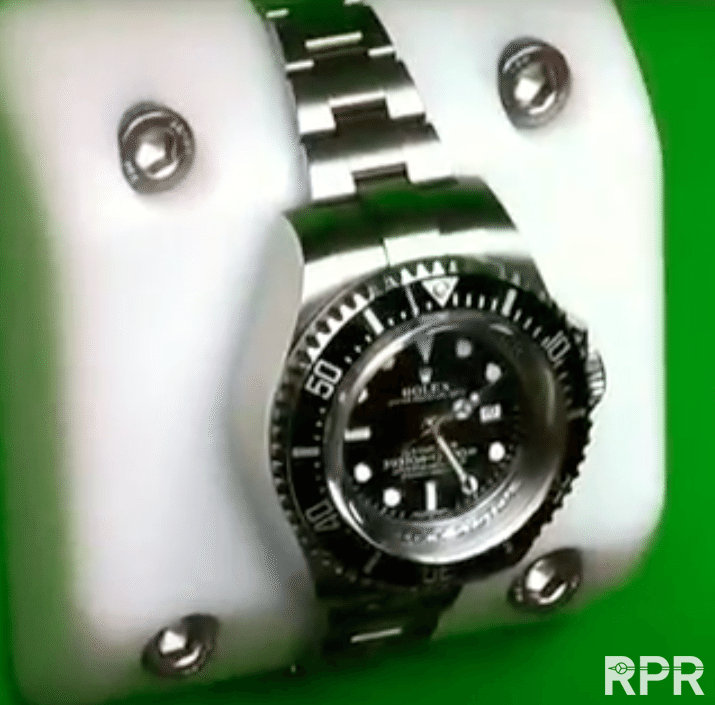 Rolex staff explains Mr Cameron the Rolex DeepSea Challenger.. 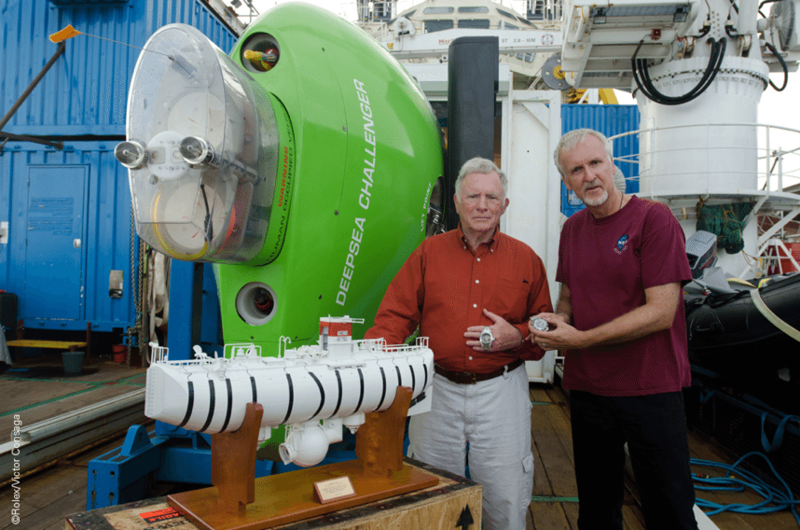 Here we see one of the DeepSea Challengers that was attached to the robot arm of Camerons Submariner. 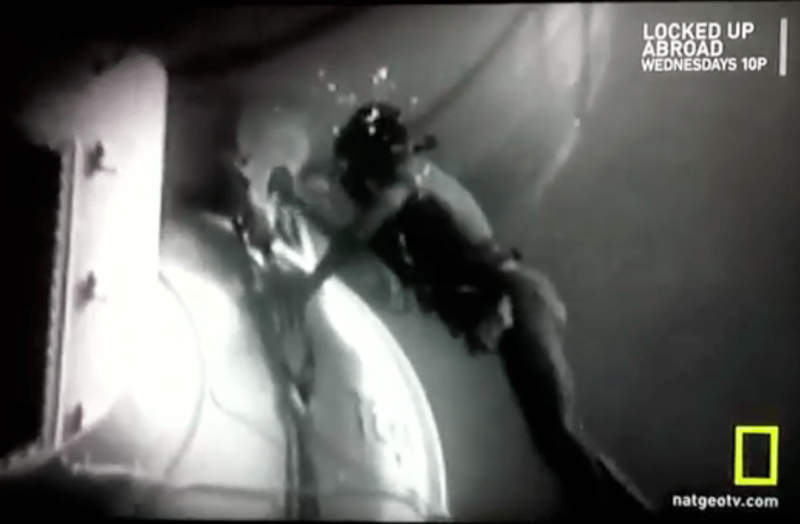 Now, next pictures I’ve not seen before, the voice over explains that in 1960 the DSS got attached to the outside, then they show below images where a diver is busy on the outside of the Triest. 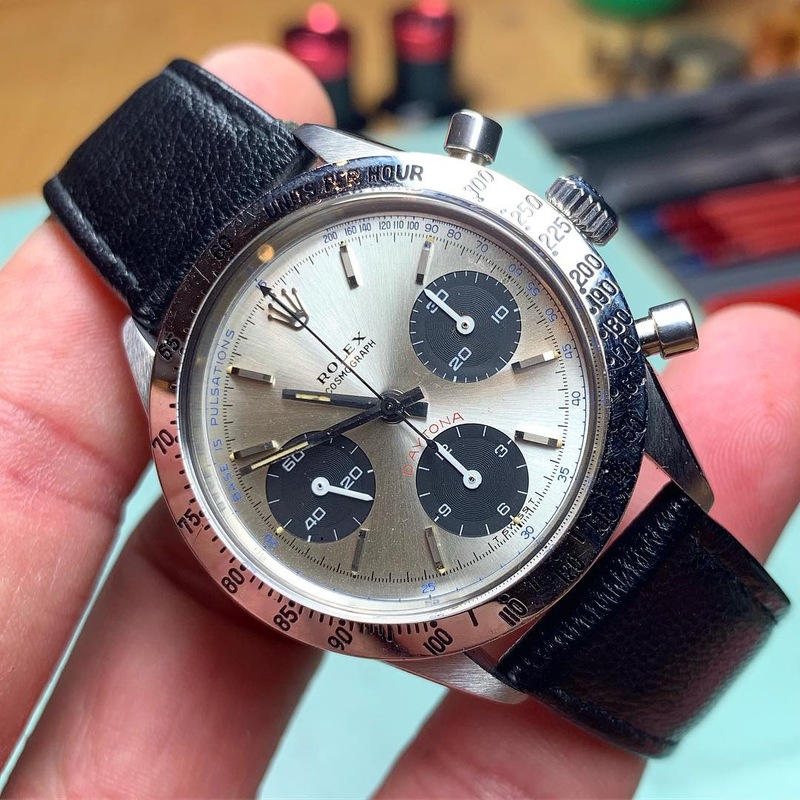 This must have been just before the 1953 3150 meter dive as for the 11.000 meter dive, the owner of the Trieste, the US Navy, with Lt. Don Walsh where officially not aware about the Rolex DeepSea Special attached January 23th 1960. This post was written by Philipp on May 9, 2012.